Order your Crane Write Now Gold/Platinum Card Set today from FahrneysPens.com. Fine Pens, Refills & Luxurious Gifts – great prices & fast shipping. 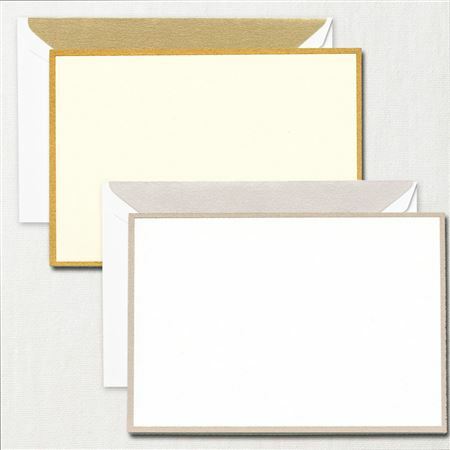 Give new meaning to writing a "quick note" with this pair of flat card's subdued shades of platinum and gold; the perfectly polished platform for any message of your choice. For your convenience, each envelope comes pre-stamped with a USPS Forever Stamp.